No matter where you live, or what season you may be experiencing, it’s never a bad time to go camping. In the summer, the early spring when the flowers are in bloom or in the dead of winter. I remember as a child, in the hottest month of the year, my mom would take us all camping. Her friends would join us as well as their children. It was a time of enjoyment and peacefulness. Even as a small child, I was aware of it — the beauty of this wonderful place that we live and all the million of places to explore. I think that’s when my wanderlust began. With a large walking stick in hand, my sisters and I would set out into the trees. We never went too far from our camp, but still far enough for us to feel empowered though we were so small compared to the towering trees. And when we weren’t exploring, we were at the camp roasting marshmallows over a fire. All while the grown-ups were trying their hardest to scare us with ghost stories. We played truth or dare, hide and seek (in the dark, mind you, it was scarier than the ghost stories!) and whatever silly game we could think of. And in the morning, after breakfast we would set out toward the lake where we would spend the entire afternoon. Chasing each other into the water, we had a ball. It’s the small things in life. But are they really that small? Camping can be done anywhere and like I mentioned earlier at any day of the year. However, it’s the connections you make with the people you are with is what really matters. Those are the memories that stick with you the longest. They definitely have for me. 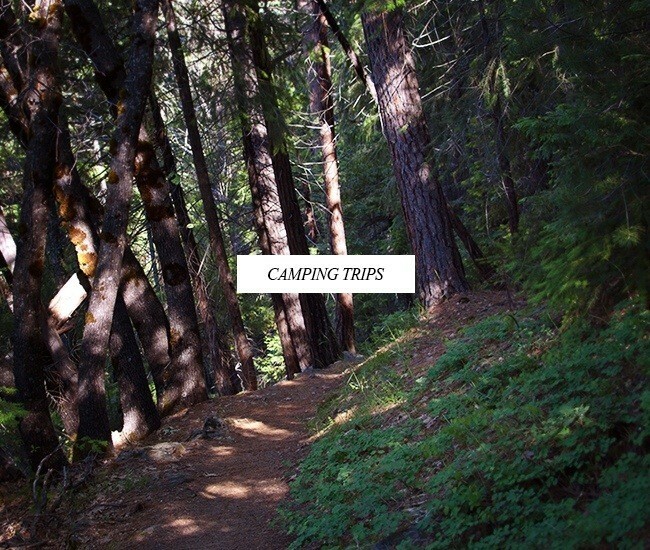 And maybe that is why I enjoy camping so much or just nature in general. Because it invokes something in me, of happy times and some pretty fantastic memories.